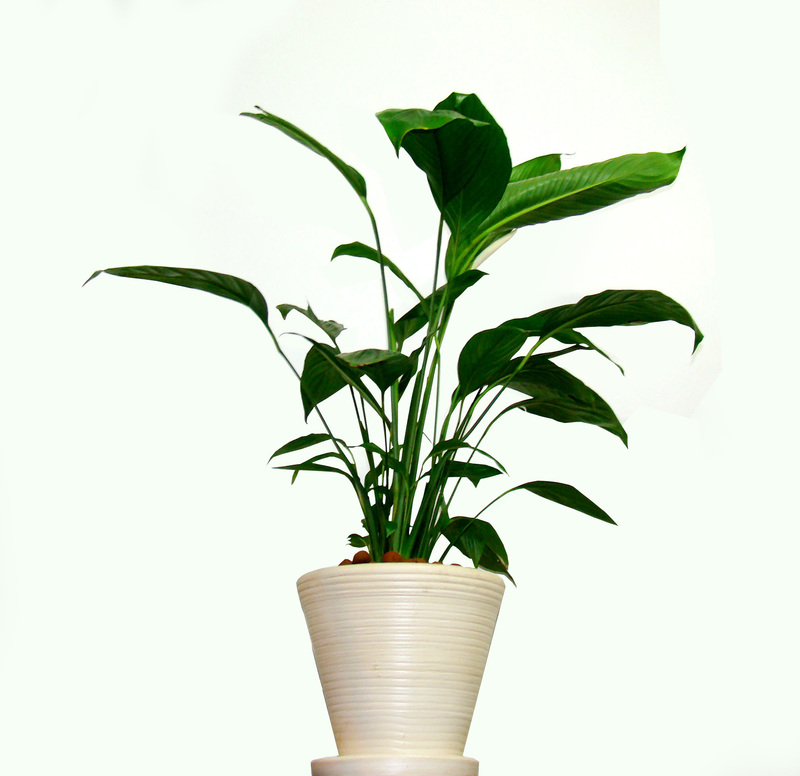 The peace lily is one the most popular office and houseplants you’ll come across. Maybe it’s because it has beautiful dark-green, glossy foliage and oval shaped leaves. Or perhaps the attractive white blossoms are its main attraction. Whatever your interest in this plant may be, lets take a look at a few tips to help you grow this wonderful plant. The peace lily is native to Central and South America rain forests, capable of adapting to low light conditions. Environmental pollutants including benzene and formaldehyde can be cleaned from the air with the addition of this plant. Its central spike, reaches a length of thirty centimeters, is white, yellow or green in color. It does have a preference for bright light, but it can tolerate dim light, and will thrive under artificial light This adaptability makes it a great house, office or workplace plant. Optimal growth is reach when placed five to eight feet from a window. When the leaves begin to wither, that is an indicator of excessive direct sun. Watering is an important part of healthy peace lily growth. The plant does enjoy deep, somewhat frequent watering. Just make sure you allow excess water to drain. To help, use a container with drainage hole with pebbles to the bottom. Because it’s rainforest native, high humidity is a plus. The peace lily prefers consistent temperature year-round, so avoid areas with strong drafts. Best climate for the peace lily is between 60-80 degrees Fahrenheit. A drop below forty degrees can harm or kill the plant. Repot the peace lily early spring, annually, or when it has outgrown its container is recommended. A popular method of starting new plants is by division. As with any potted plant, soil nutrients become depleted. To replenish them use a light amount of balanced fertilizer. About the Author: Steve Habib is an active gardener and researcher on the subject of growing and caring for a variety of plants.